The Los Angels Dodgers were established in Brooklyn, New York in 1883. 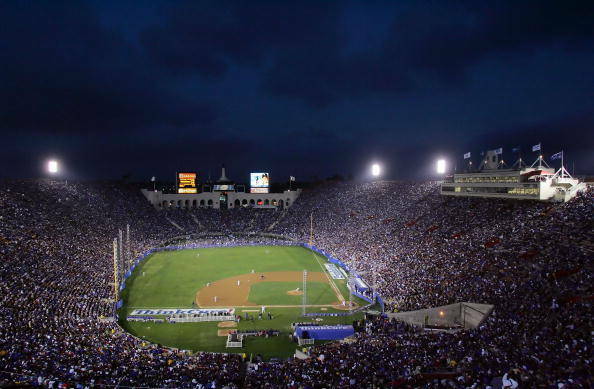 They are currently in the National League’s West Division and have played their games at Dodger Stadium in Los Angeles since 1962. 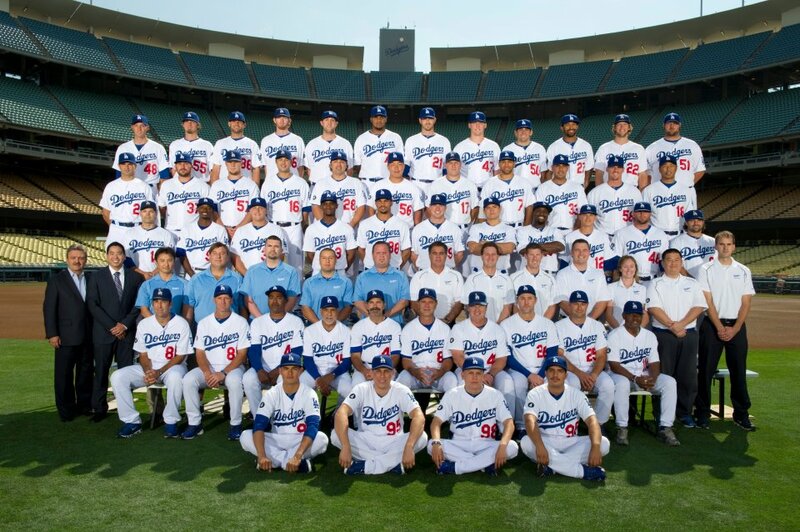 Their colors are white and Dodger blue. The Dodgers joined the National League in 1890, but weren’t officially named the Dodgers (which has long been their nickname) until 1932. Led by Hall of Famer’s Rube Marquard and Zack Wheat, Brooklyn won their first pennants in 1916 and 1920, but lost both times in the World Series. They struggled throughout the twenties and thirties, but improved under manager Leo Durocher in the fourties. The Dodger’s broke the color barrier in 1947 with Jackie Robinson, and reaped the benefits of intergration by making the World Series that year. With Robinson and Pee Wee Reese eventually joined by young stars Duke Snider, Roy Campanella, Gil Hodges and Don Newcombe, the Dodgers became perennial World Series contenders. They finally broke through with their franchise’s first title in 1955, defeating the Yankees, who had tormented the Dodgers by defeating them five times in the Fall Classic between 1941 and 1953. The team moved to Los Angeles in 1958 and quickly knocked off three more world titles — 1959, 1963 and 1965 — behind the pitching of Sandy Koufax and Don Drysdale and not a whole lot of offense. The seventies brought in another Dodgers mini-dynasty — this one lead by the infield of Steve Garvey, Davey Lopes, Bill Russell and Ron Cey and pitcher Don Sutton. However, the Tommy Lasorda managed teams didn’t win a World Series in three chances — losing two more to the Yankees — and finished in second place six times during the frustrating decade. Lasorada would finally get his title in the strike shortened 1981 season, thanks in a large part to Mexican rookie sensation Fernando Valenzuela. 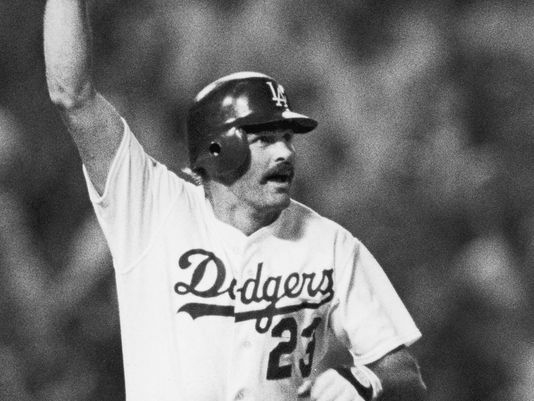 The Dodgers would win the division three more times in the eighties and in 1988 Lasorda snagged another World Series win with the help of Kirk Gibson’s one-handed heroics and Oral Hershisher’s all-around brilliance.. The Dodgers have been up and down ever since, making the playoffs seven times since ‘88, but never advancing to a World Series, and generally lacking any season-to-season consistency. They entered the 2013 playoffs as the World Series favorite, however they went down to the St. Louis Cardinals in the National League Championship series. As of 2013, the Dodgers feature a very aggressive ownership group and the biggest TV contract and largest payroll in all of baseball, suggesting they should be contenders for years to come. 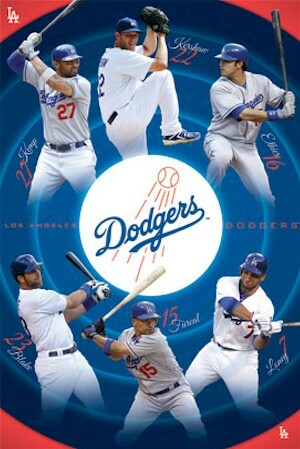 Key Dodger Players: Zack Wheat, Rube Marquard, Babe Herman, Dazzy Vance, Pee Wee Reese, Duke Snider, Jackie Robinson, Roy Campanella, Ralph Branca, Gil Hodges, Carl Furillo, Preacher Rowe, Don Newcombe, Don Drysdale, Sandy Koufax, Maury Wills, Steve Garvey, Ron Cey, Bill Russell, Davey Lopes, Don Sutton, Tommy John, Bob Welch, Pedro Guerrero, Steve Sax, Mike Scioscia, Fernando Valenzuela, Kirk Gibson, Orel Hershiser, Mike Piazza, Matt Kemp, Clayton Kershaw, Andre Ethier, Hanley Ramirez, Yusiel Puig. Key managers: Wilbert Robinson, Leo Durocher, Walter Alston, Tommy Lasorda. Division titles: 2013, 2009, 2008, 2004, 1995, 1988, 1985, 1983, 1981, 1978, 1977, 1974. League pennants: 1988, 1981, 1978, 1977, 1974, 1966, 1965, 1963, 1959, 1956, 1955, 1953, 1952, 1949, 1947, 1941, 1921, 1916, 1900, 1899, 1890. World Series titles: 1988, 1981, 1965, 1963, 1959, 1955. All-time record: 10395 and 9424.